You don’t enter ENO as much as you disappear into it. This warm, inviting downtown Chicago wine bar makes you feel like you’re in an upscale wine cellar. Upon entry, you'll spot our delicious cheese and chocolate displays. As you're shown to your table, glass-enclosed wine racks containing our award-winning selections surround you. And that's only the beginning. A gourmet cornucopia awaits - superb wines, an outstanding international menu of cheeses, and a tasty host of handmade chocolate truffles and bars. When the weather warms, ENO offers a rare treat among Chicago wine tasting rooms – a vibrant outdoor patio. Take in fantastic views of the fireworks and Magnificent Mile scenery as you indulge in some of the world’s best wine, cheese & chocolate at our downtown Chicago hotel. Whether you're a casual sipper or a vino connoisseur, you'll appreciate our friendly service - offered without pretension or pressure. You will agree, this is not your everyday Chicago wine bar restaurant. 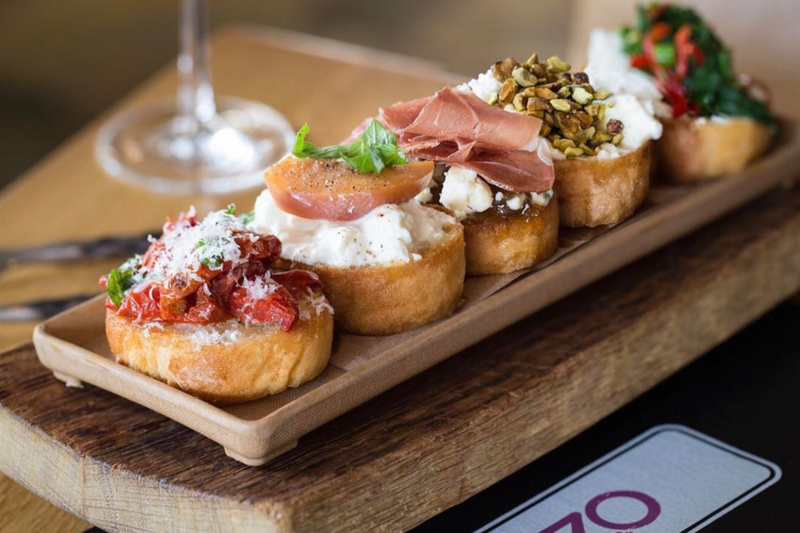 Celebrate good taste and great friends at ENO’s Chicago wine restaurant – where a fabulous selection of international wines, sumptuous cheeses, and decadent chocolates makes for a fun, friendly tasting experience. ENO's international wine selections, cheeses and chocolates change seasonally based on availability, ensuring a fresh experience with every visit. Private tastings, intimate gatherings and large group events for 8-100.